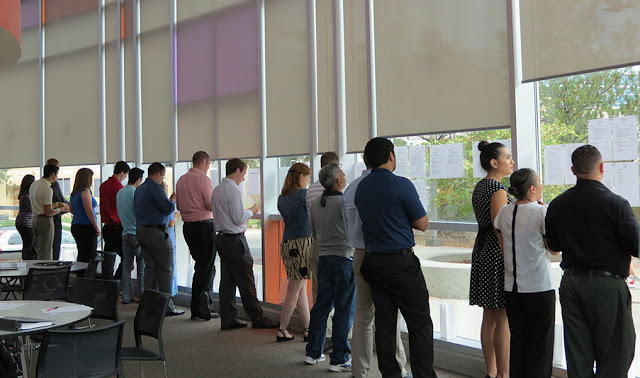 This is Anderson: Will your resume get YOU noticed? 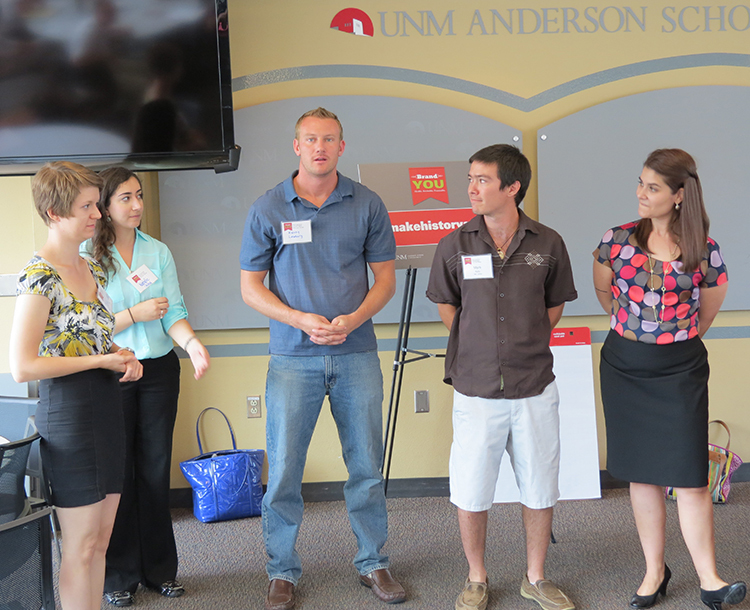 UNM Anderson MBA and MACCT students put their resumes to the test at the Career Week Resume Gallery on Thursday, August 29. Students displayed their resumes around the Jackson Student Center where they were compared and critiqued. Kate Williams from Anderson Career Services was on hand to offer advice and led an active discussion on what a good resume looks like and how it can help you get a job! There are many Career Week activities taking place through September 11. Don't miss out! Go to jobs.mgt.unm.edu for a list of events. All events require pre-registration.